Livio Seguso was born in 1930 in Murano. Like all the other renowned Murano glass artists, he was also interested in glass blowing and shaping from a very early age. 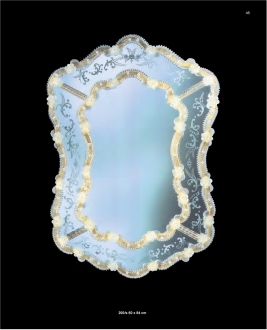 The glass is a difficult medium to tame but most of the Murano-born glass artists took up the challenge of taming this medium and have recognized the unlimited possibilities of the medium. Livio was not an exception. He started his career by acquiring an in-depth knowledge of glass. This was easy for him as Murano was a fertile ground that nourished anybod y who is interested in glass architecture. 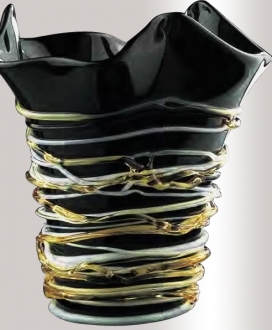 Livio Seguso started his glass art career under the famous glass master, Alfredo Barbini. Having received a sound initial training, young Livio began to experiment with the medium to express unprecedented skill in the art. Livio Seguso was appointed as the glass maestro of the Salviati & Co. He was instrumental in the production of many exquisite and innovative Salviati designs. Having accumulated enough experience and self confidence, Livio Seguso started his own glass art concern in 1969. Besides controlling the business, he was also its creative genius. 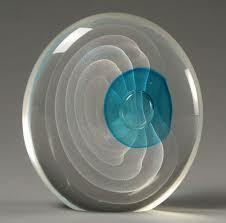 Soon his creative soul began to feel too limited by working only with the traditiona l medium, which is glass. He diverted his innovative skills to another more expressive medium, crystal. 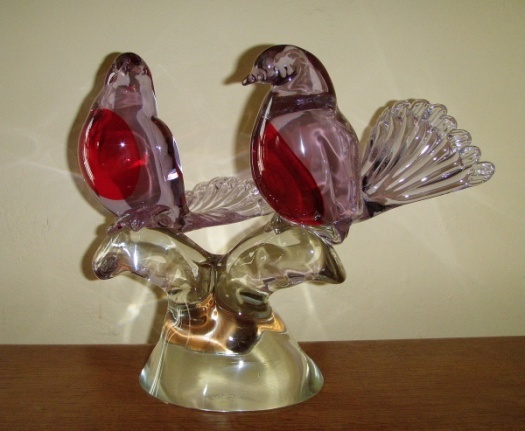 He was able to produce extremely poetic sculptures with crystal. Once he had realized the effectiveness of crystal in reflecting moods and emotions aptly, he used the medium very skilfully to produce some of the most famous sculptures which bore the marks of Livio Seguso talent. 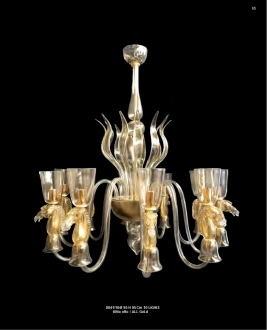 He was able to ignore the traditional Murano glass art to create his own characteristic pieces. 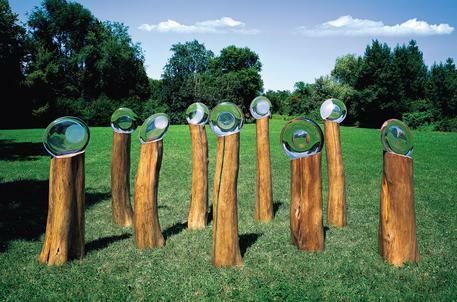 These were admired by the artists all over the world. Most of his works are unique and above any kind of imitation. His art pieces always moved with the times absorbing the contemporary changes in the expression of the art. This made him highly modern and prevented his works from becoming obsolete. While scaling great heights in the glass art, his creative spirit was restless and began to explore the possibilities of other media like marble, rock, steel and even wood. He used these media to complement his glass art. In all these Livio Seguso succeeded in reaching incredible fulfilments. Height: 84 cm" Length: 60 cm"